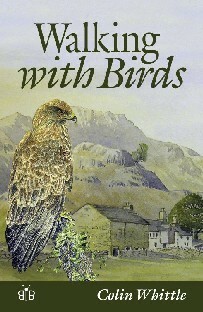 This book explores the wildlife, especially birds, of one of the most magnificent and popular Lake District valleys, close to the coast of Morecambe Bay. It is a culmination of over 50 years involvement with wildlife. It is also a personal narrative concerning the rediscovery of one's place in the natural world in an age of an ever increasing alienation of people from nature and its processes. The text is complimented by beautiful watercolours by the author of some of the places and moods he describes. Shortlisted for the Lakeland Book Award! A Heron has just come up from Dead Sheep Bay, shouting a continuous harsh, gutteral alarm; its flight expresses an air of panic disturbing the usual sedate rhythm of even its great ballooning wings. Suddenly a 12-bore shot cracks the air somewhere in amongst the carr and reeds of Dead Sheep Bay – I am outraged at the presence of a gun here! Goldeneye wings whistle and Woodpigeons erupt from the trees, clattering an escalation of shock all along the shore and a Green Woodpecker now, like some unexpected tropical flash explodes out of the wood and up-river, a sharp-pointed missile targeted upstream in long swooping undulations. A sudden Woodcock rockets out of the marginal tangle. With a slight whirr and rustle he accelerates, jinking, over the trees. Fortunately there’s been no further shooting and many of the birds have re-settled. Further upstream the river makes a sweeping turn westwards, its surface glazed with mother-of-pearl in this hazy afternoon sun. Overhung by mature alders and oaks this is one of my favourite bits of ‘orchestral’ river as it ripples over shallow shillets and small cascades – a whole score of sounds. Half a dozen well-whitewashed mossy boulders testify to their habitual use by Dippers, evidently anything but casual in their use of the river, creating, as they must do, their own ‘mental maps’ of the way they use the river. A pair of Mallards drowses in the sunshine, their heads tucked in, the sunlight brilliant on the structural greens and blues of the drake’s head and speculum. They’re not asleep, however, and the duck has me fixed with a very beady eye. I leave the footpath and the ducks to their dreams and follow my own way through the wood to Baysbrown Tarn. The approach to High Close wood is very pleasant with its little stream meandering through carpets of celandines and anemones under a light birch dapple, particularly after the Common where everything is so openly declared. Here the sense is of melting through a subtle interface to a changed, quite other reality - walking slowly through secrets and touching the immensity of non-human life. Something about bird-calls reaching inwards from unseen corners of the wood emphasises its aura of veiled reservation. You hear the continuum of bird-calls, are aware of their ceaseless activity, but even their heard, unseen presence tells of ever more remote, darker secrets – the powerful magic at the depths of a wood. The canopy is high here; the birches are green, their leaves just flushing. The ash flowers are fully open up in the crowns – little sprays of purple and green, like reef creatures reaching for light; a green haze begins to spread right through the wood. The woodland floor is very clearly zoned, Bluebells giving way to a densely leaved area of Ramsons without any of the flowing of one into the other, beloved of gardeners. Further on the great beeches are flushing, the first leaves fragile and tender, transparent, silvery with down and exquisitely fringed with tiny delicate hairs. Beneath the beeches the ground layer is entirely of dead leaves.